Dreaming About Starting Your Own Business? Many people dream about starting a small business and becoming their own boss. It’s a great dream. The rewards can be substantial, but so are the risks. The dream of being in charge of your own time can turn into a nightmare of always being on duty, and never getting to relax. Here is a lawyer’s perspective on the risks and rewards of owning your own business, and some advice for keeping your head above water. Incorporating your business can provide a layer of legal insulation. If a corporation has a debt, the shareholders are not personally liable unless they have also signed a guarantee. If an individual signs a lease, that person is liable for the rent, even if the business fails. If a corporation is the tenant, the shareholders are not personally liable. There can be tax advantages to running a business through a corporation, especially if you have loans to pay off, and don’t need all the cash to live on. On the down side, there are costs to setting up a corporation and maintaining it, including legal and accounting cost. Go it alone? Or with partners? Having a business partner can be great – two heads are better than one; and you can share the work, the headaches and the hours. However, having a partner is like getting married. You lose a certain amount of independence; you have to solve problems together, and you need to compromise. Many marriages do not last forever, and the same applies to business partnerships. Be careful to choose the right partner. Take the time to work out a partnership agreement up front. This forces you to think about things like: how decisions are made; whether profits will be distributed or reinvested; and how to handle things like the death, disability or resignation of a partner. Having a written agreement gives you fallback rules that can be used if necessary. If you have to give a personal guarantee, try to limit the term – e.g. a maximum of six months’ rent, or a guarantee the becomes void after the first few years. Consider a short term for the lease (in case the business fails) with a number of renewal options (in case it succeeds). Work out clearly what you have to pay for and what is paid by the landlord: who pays for utilities? Taxes? Insurance? Repairs? Bank financing – approach a bank to finance equipment, and to provide a line of credit for operations. Banks like to have lots of security, and you count on a personal guarantee. Personal Line of Credit – arrange a personal line of credit, perhaps secured on your home – but hold it in reserve. Family – Family members can be a good source of funding – usually low cost, but make sure you can pay them back! One think NOT to use for financing is the government. Too many people pay the bills by NOT paying their HST or payroll deductions. This can mount up quickly, and then you’re in a jackpot. Even declaring bankruptcy won’t get you out of this hole. I guarantee that when running your own business, you will spend much more time at work than you ever imagined. Make sure to carve out time for yourself and your family. Don’t let your business overwhelm your life. If you can find the right balance, it can be very rewarding. My final advice: Go in with your eyes open, and rely on experienced advisors. Get a good accountant, lawyer, banker and insurance broker. Lean on them, listen to their advice, and make sure you keep them in the loop. They’ve seen it all before and they can keep you on track. 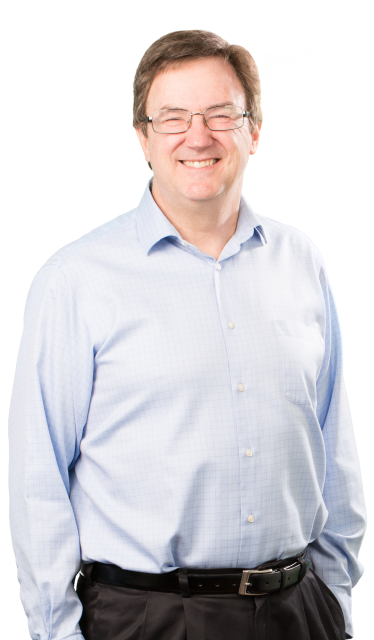 Dave Thomas is a partner within the corporate and commercial department of Lancaster Brooks & Welch LLP and he may be contacted for advice on starting a new business or changes you are planning to your existing business. Dave can also advise on commercial and residential real estate transactions. If you wish to meet to discuss making your dream business a reality, contact him at our St Catharines office at 905-641-1551.